I have not blogged about Tanner, because quite frankly I tear up to much to see the computer. She passed away last fall, she was 17 years old and amazingly she died in her sleep which she probably did in efforts to keep me from having a broken heart. I do not know how many birds she pointed and retrieved in her life, but I am positive it is a big number. She had over a thousand birds shot over her at two years old. I think every hunter, if he is really lucky, gets one hunting dog that is good. If you are really super lucky, you get that once in a life time dog, and that was Tanner. I have had hundreds of hunters shoot over her, and she aways was the best dog of many on the field. She had a great nose, soft mouth, solid point, but what separated her from the rest was the long retrieves she could make. I would have clients wound pheasants that flew over the hill and out of site. She would go over the hill, and I would just say “Lets take a break and get some water, she will be back in five minutes.” The guys would always say “No way, that dog is returning with that bird, I dont even think I hit it.” Sometimes it would come down to a $20.00 bet and I must have won hundreds in the field over the years. 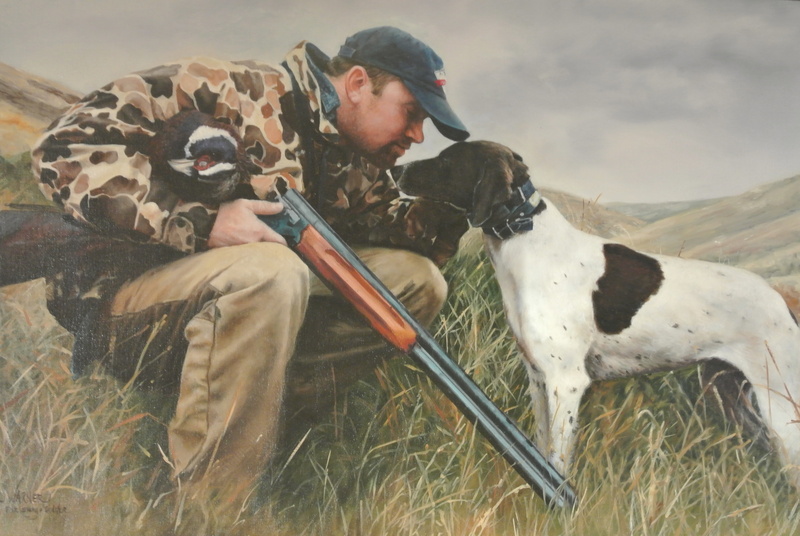 I will tell some stories about her soon enough, I had my favorite artist, Val Warner do an art piece of Tanner and I when we were both young and it turned out excellent, I stare at it every day and miss my old friend. 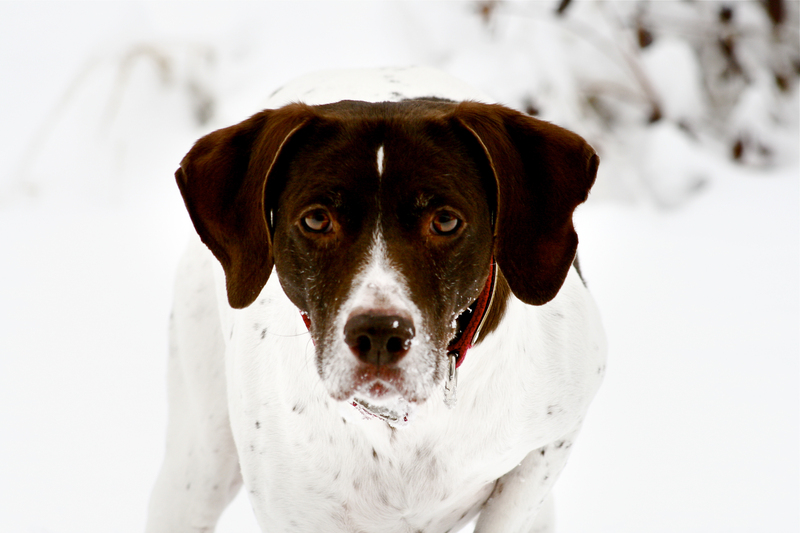 Tanner, a German Shorthair Pointer. 17 years old. The miracle dog. 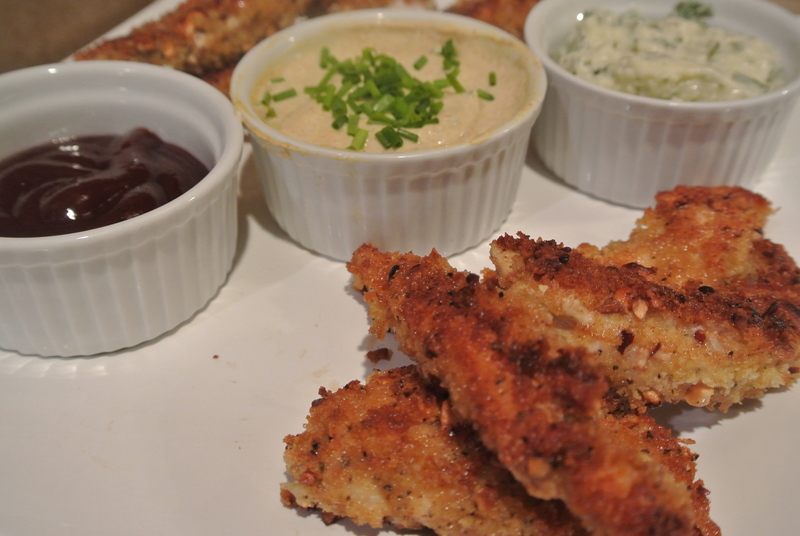 This was one of my favorite appetizers, and easy to make. The curry sauce really carries the flavor of this simple dish. I do serve it with a couple of sauces, usually bbq sauce and the curry sauce. Nobody dips the pheasant into the bbq sauce twice. 1 lb of boneless skinless pheasant breast cut into 3 x 1 inch strips, remove all lead!!! 1/3 cup of chopped nuts, I like pecan or peanut. In a small mixing bowl, combine dip ingredients, cover with plastic wrap and chill. In a large plastic food storage bag combine flour, salt and pepper. Add pheasant strips and shake to coat. In a shallow dish, lightly beat eggs. On a sheet of wax paper, combine bread crumbs and chopped nuts. 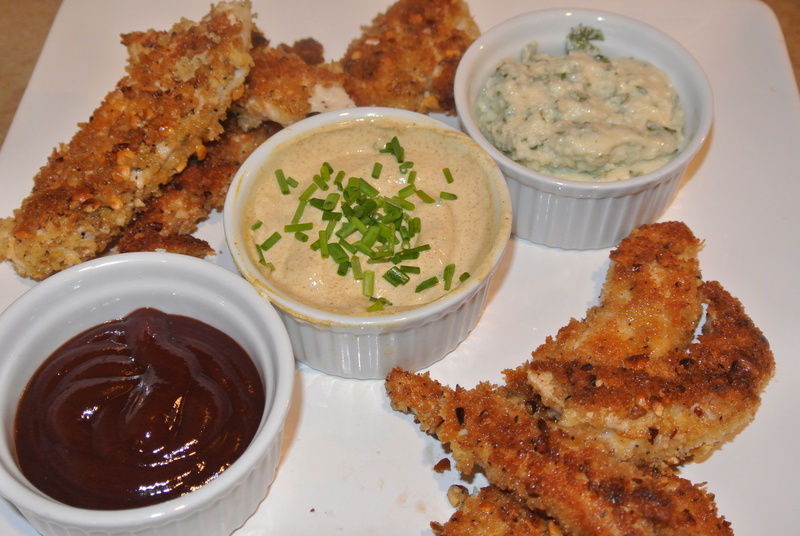 Dip pheasant strips in egg mix, then dredge in bread crumbs to coat. In a skilled, heat oil over medium heat. Add coated pheasant strips and cook for 4-5 minutes until the meat is golden brown and turn over once. Drain on paper towels and serve with dip. The curry dip is in the middle. This is an appetizer that does not last long. I have a lot of hunters take this recipe home with them to show off. It is easy and the kids love them. I have clients that say this is the only way they cook pheasants and the kids cannot wait to go with dad into the field for pheasant hunting. The nuts and curry really carry this dish, but if you are allergic to nuts it is still a good way to go. I hope you give it a try, get your shotgun and go get some upland game for supper. by Val Warner. One of my favorite treasures that I own.